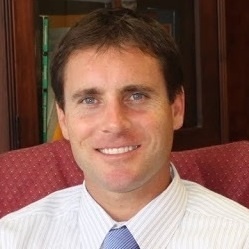 Ryan Hilts is a personal injury attorney serving “South Portland” Oregon. He has specialized in the field of personal injury for over a decade, handling all types of personal injury claims including, wrongful death, drunk driving accidents, car accidents, pedestrian accidents, bicycle accidents, and motorcycle accidents. If you are looking for a personal injury attorney serving South Portland and the greater Portland, Oregon metro area, contact Ryan Hilts for a free case evaluation: (503) 726-5960. South Portland, Oregon is a neighborhood that stretches between the Willamette River on the east and SW Barbur Blvd on the west. Lengthwise it reaches north as far as 1-405 and south to SW Canby St. and the Sellwood Bridge. South Portland is further broken into four neighborhoods. The first, John’s Landing, is a narrow neighborhood between the Willamette River, the South Waterfront and I-5. It was repurposed decades ago, updated from an industrial sector to an area full of craftsmen homes. It includes many small businesses, the Old Portland French School and two major avenues: Macadam Avenue and Corbett Avenue. 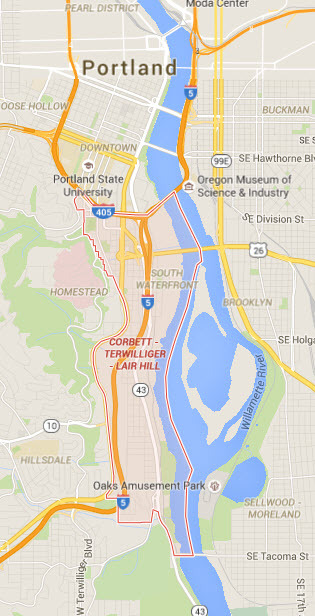 The second, Lair Hill, is a residential neighborhood close to downtown Portland. It includes large homes and apartment complexes. It is the smallest neighborhood in South Portland. The third, South Waterfront, stretches from the banks of the Willamette River to Ross Island Bridge and Sellwood Bridge. It was transformed from a dying industrial sector to an emerging private business structure with apartment complexes. The fourth, Corbett, is an unincorporated community located along the historic Columbia River Highway. It dates back to the founding of Portland and has changed the least over the years compared to the other neighborhoods in “South Portland”. In 2012, a frightening statistic showed that there were 5 traffic fatalities for every 100,000 people. 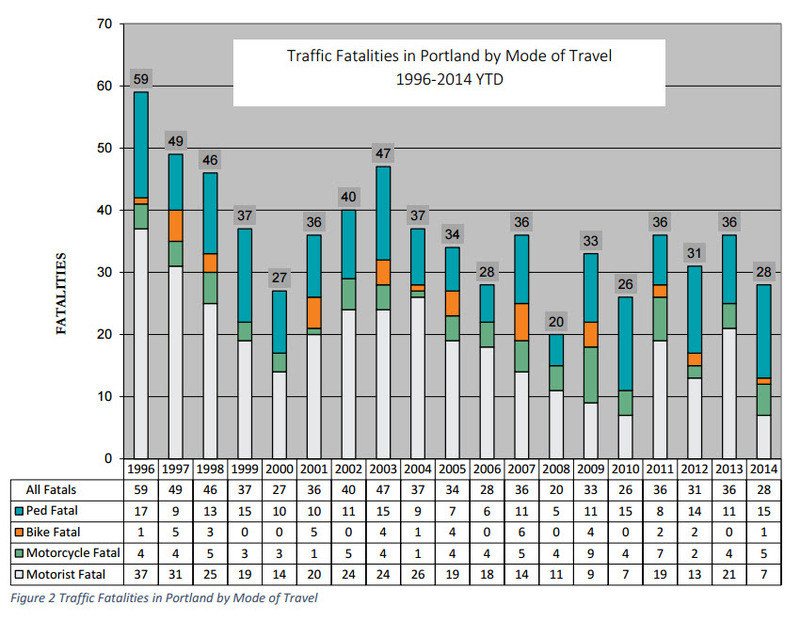 The graph below shows the amount of traffic-related fatalities broken down by the mode of transportation.